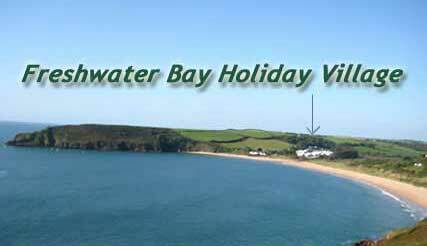 About Freshwater Bay Holiday Village. 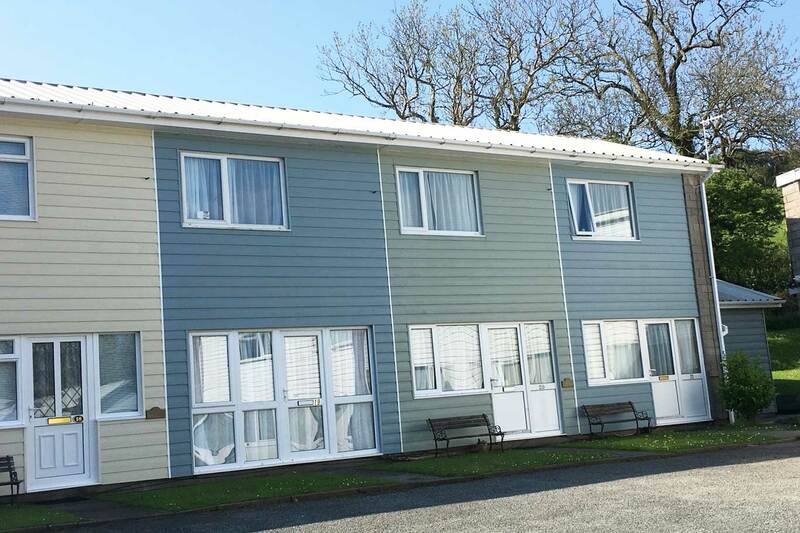 Freshwater Bay Holiday Village is a holiday park of two storey holiday homes arranged in short terraces in landscaped grounds. It was built in the 1970’s on the site of a previous caravan park. No way would a holiday park be given planning permission in such a special location. In recent years the site has been undergoing a renaissance. Several have been given a make over with colourful cladding and pitched roofs. This gives a nice seaside feel to the site. 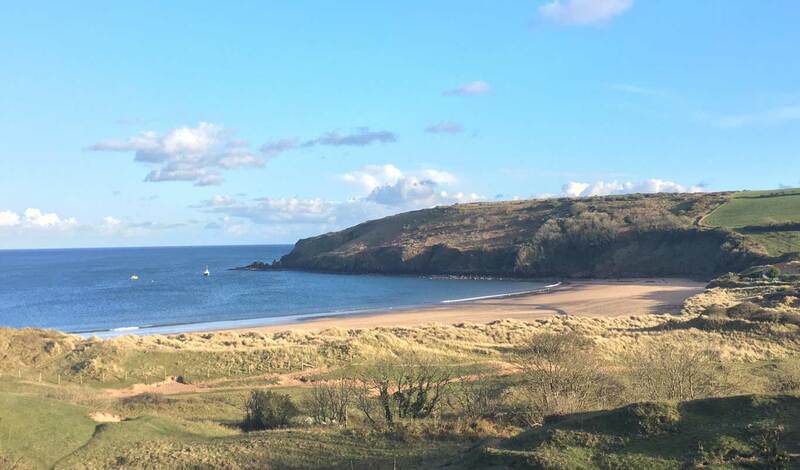 The holiday village is located just 250 metres from Freshwater East Beach and the Pembrokeshire Coast Path. It is in the village of Freshwater East, 4 miles south of Pembroke and 10 miles west of Tenby. It is also in the Pembrokeshire Coast National Park. It is a great base for exploring Pembrokeshire and the National Park. It is only a 5 minute stroll to Freshwater East Beach although a car is advisable if you wish to explore further afield. Freshwater Bay has a sandy crescent shaped beach. It is often sheltered from the prevailing winds making it popular for swimming and water sports. The dunes and woodland adjoining the beach form the Freshwater East Local Nature Reserve. There are pleasant walks though the Freshwater East Nature Reserve with lots of wild flowers in Spring and Summer. 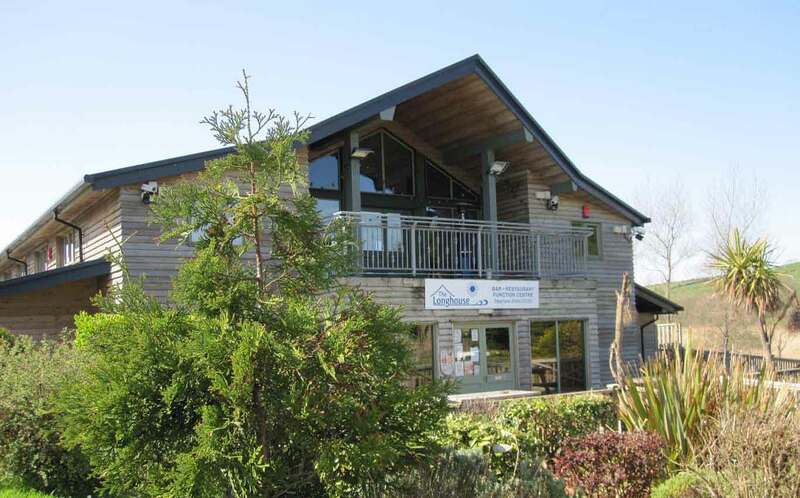 The Longhouse is a bar/cafe/shop facility at the front of Freshwater Bay Holiday Village with seasonal opening hours. The Longhouse also puts on events and offers diving, mountain bike, kayak, stand-up-paddle board and wet suit hire.